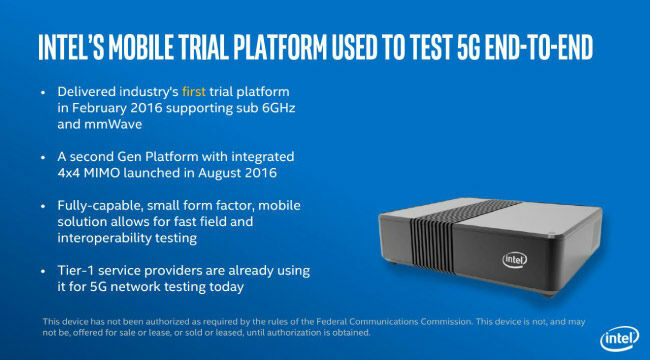 Announced at CES today, Intel made public their 5G solutions which they aim to launch within the first half of 2017. 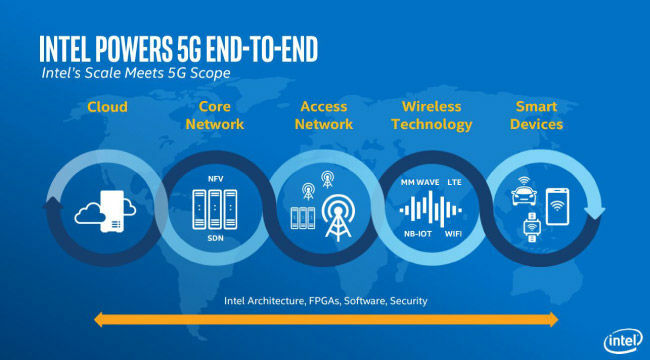 Intel’s 5G Modem (codenamed Goldridge) will support both sub-6 GHz and mmWave bands which gives it control over a wider radio spectrum allowing it to be customised for a variety of application scenarios. Autonomous driving and wireless broadband among others are expected to propel the application of 5G technology. 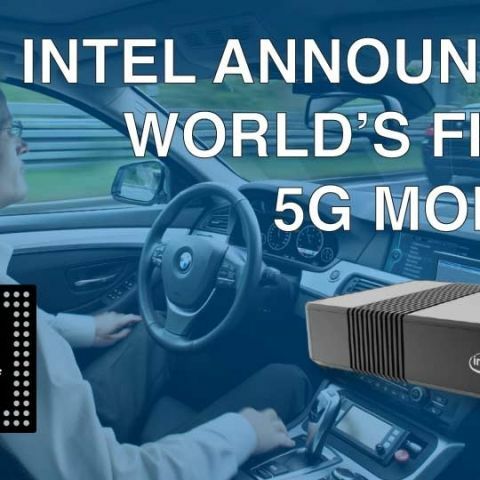 We’d first heard of Intel’s 5G solution during IDF 2016 in mid-August and towards the end of August Ericsson was the first to announce the Ericsson AIR 6468 5G radio which was followed by Qualcomm announcing the Snapdragon X50 5G Modem in late October. All three competitors are expected to begin deployment in the second half of 2017. As is the case with most new technologies, widescale adoption comes much after a particular technology has become available. The same goes for 5G as well. There aren’t that many consumer application scenarios where high bandwidth data transfers are absolutely instrumental. Sure, it is the era of big data and getting said data to a data centre for processing speeds up the entire process but it’s never been a mission critical scenario. That changes with the introduction of autonomous driving. Advanced Driver Assistance Systems or ADAS need to make split second decisions while travelling at high speeds. Hence, the need to move massive amounts of data to the nearest edge network and then get the required result in time is tantamount to preventing accidents. Just a week back, we’d seen a Tesla detect an accident before it happened and brake in time. That was a standard scenario in which the onboard computer could take the decision, but there can always arise exceptions which might require the ADAS to communicate with its servers. This is where a fast means of communication can make a difference. And with the evolution of autonomous driving, we’ll see vehicles communication with each other more frequently. Just one ADAS works by taking into account video feeds from multiple cameras, and we all know how bandwidth heavy videos are. Imagine a hive of ADAS communicating with each other and remote servers. The bandwidth requirements are going to go through the roof. And should there ever be a traffic jam, then the radios in the vicinity will have to deal with extreme data congestion. 5G technology, with its high bandwidth are built to deal with such scenarios. With higher resolution videos becoming common, including 360-degree videos, greater bandwidth is once again going to be a much desired commodity. And it’s not just for your average smartphones but mobile offices, VR/MR/AR, supply chain management, smart cities etc. are some of the other domains where 5G will help companies innovate. Intel also unveiled Intel GO which is their 5G ready development platform focused at Automated Driving. This includes the Intel GO In-Vehicle Development Platform for Automated Driving that will use Altera’s Arria FPGA solutions along with an Intel Atom or Intel Xeon processor. To push things further ahead, Intel is also bringing out Arria 10 which offers an entire speed grade of performance over competing solutions. One particular SKU, the Arria 10GX, is built for autonomous driving applications and consumes up to 40 per cent lower power than previous generation FPGAs. It also offer more than 320 Gbps DDR4 bandwidth, supports 12G-SDI and has 1.5K variable precision DSP blocks. And lastly, in partnership with Denso, a Japanese automotive components manufacturer, Intel is stereo vision solution to allow ADAS to gain better depth perception.